The colourful italic marker pens are the ideal medium for crafters looking to add colour, enhance, scrapbooks, card designs, letters and more... 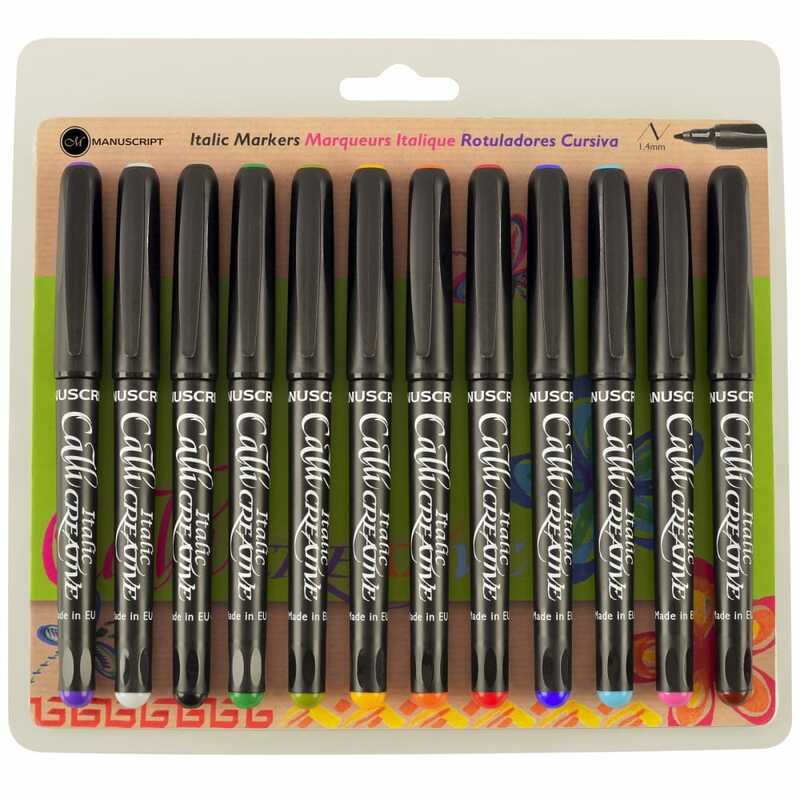 These are versatile and easy to use markers give stunning results in a matter of minutes! Set Contains 12 pens tip size fine 1.4mm, red, orange, leaf green, dark green, yellow, turquoise, grey, blue, purple, pink, brown & black ink each with ergonomic comfort grip for ease of use when writing and Italic guidelines and instructions included.